The contributions to this volume clearly and convincingly demonstrate that the state and politics in China have changed considerably since the beginning of the 1980s. An international line up of experts explore the meanings of local initiatives through case studies, assessing their contribution to improving governance, questioning how they can be sustained, and revealing the political nature of normative standards. Each contribution focuses on a different policy area including cultural strategies, housing, land politics, corruption, peasants’ burden and cadre reforms, women and gender, and international relations. 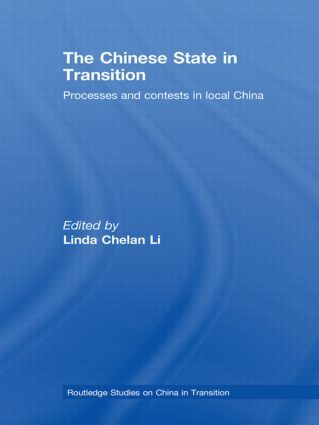 The Chinese State in Transition is an important read for students and scholars of Chinese politics, social and public policy, and governance.